You hooked your fish up with a sweet, modern condo, now it’s high time you let the neighborhood birds settle into some nice digs too. 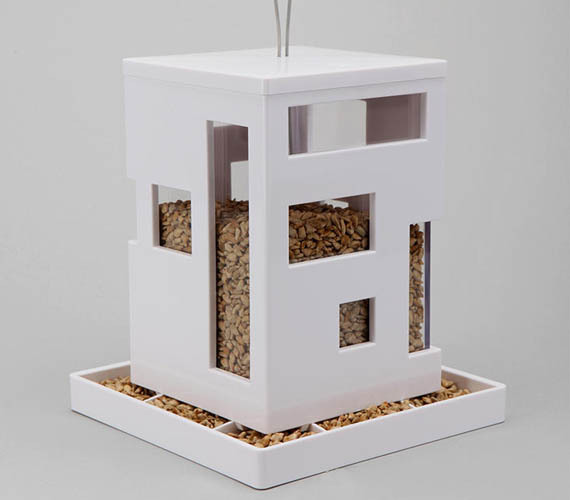 The Bird Cafe is a hanging bird feeder with a whopping 3lbs of seed capacity. Which means they’ll be eating, drinking and generally partying until the breaka breaka dawn. Its sleek and modern design boasts a spacious open floor plan and an easy ledge for some serious bird chillin sessions. EYE TRICKERY: Can You Spot The Birds In This Photo?